The owner of a residential care home for the elderly has been told he must make improvements or face enforcement action. Inspectors for the independent Care Quality Commission judged Haven House Residential Home in Warwick Road, Kineton, was failing to provide care that was safe, effective , caring, responsive, or well-led. Some 20 elderly people, several suffering from dementia, are looked after at the home run by Bridget Wilson on behalf of owner Maurice Hermon. The inspectors said: “Although many people said staff treated them with kindness and compassion, we found examples where people’s needs had not been met and where people had not been protected against risks associated with cleanliness and infection control. The Care Quality Commission regulates health and social care in England with the aim of helping people to choose the best service to meet their own needs or those of elderly relatives. 7 An effective staff recruitment process needs to be implemented to ensure staff are suitable and of good character. 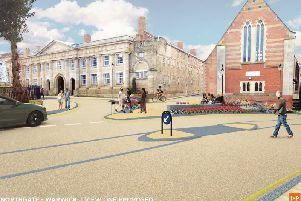 The commission inspectors will return to check again that the improvements have been made - if not action will be taken. Care home manager Mrs Wilson said it was difficult to recruit staff and she regularly advertised vacancies at Leamington Job Centre but this was not helped by the bus service being only every hour. Agency staff were employed where possible.